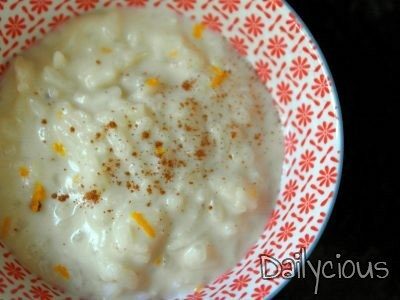 Mix the coconut milk, water, rice, cinnamon sticks, fresh ginger and orange zest in a pot. Bring the mixture to a boil and reduce to a low simmer and cover the pot. Simmer the rice mixture for 30-40’ until most of the liquid has absorbed and the rice has cooked, stirring occasionally or otherwise the rice will stick to the bottom of the pot. Add in honey or maple syrup, vanilla extract and salt. Remove from the heat when rice is soft and creamy and taste for any additional honey. Don’t forget to throw away the cinnamon sticks and piece of ginger. If rice pudding is too solid, add a little more water and if it’s too runny, boil for some more minutes. Serve warm or cool, with some ground cinnamon on top. 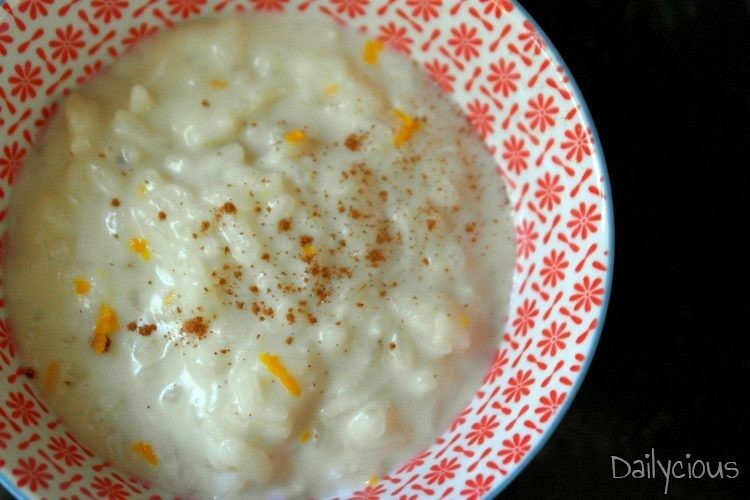 Store the coconut rice pudding in the refrigerator for 4-5 days.